Take a look at best of the best mehandi designs for upcoming summer and monsoon weddings! Today minimalism dictates the world of fashion and beauty. Be it your outfit, makeup or hairstyle. Effortless and elegant, that’s what minimalist theme is all about. So, when it comes to applying mehandi, brides these days are opting for simple designs. Most bridal mehandi designs these days are far-less-complicated yet lovely. At a recent summer wedding, the bride was spotted flaunting a beautiful peacock feather on her palm. The back of her hands were beautifully decorated with floral vines with a lot of space in between. The design had unique curls and curves which just glorified the overall look of our pretty dulhan. We got inspired by her mehnadi design and handpicked 17 minimalist patterns for you to sport this wedding season. These are the popular mehandi designs you could possibly choose from before a typical mehandi night. 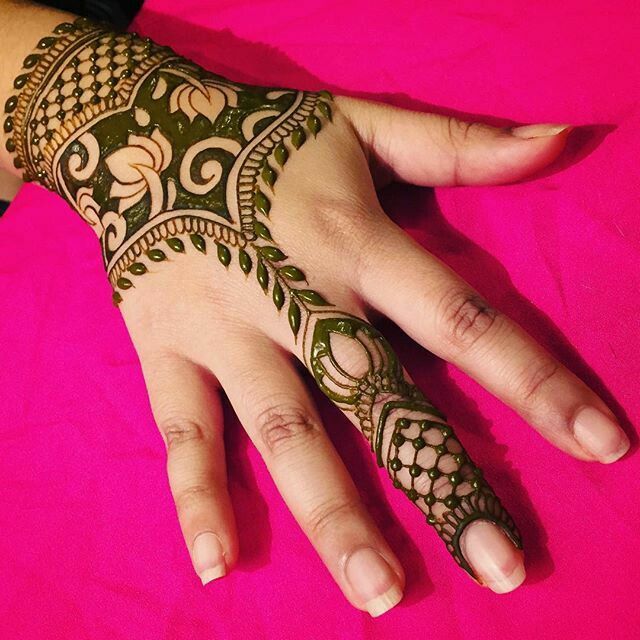 Discuss the design’s theme and intricacy with your mehandi artist. Customization and your inputs can be incorporated very effectively. Afterall, it’s your wedding. 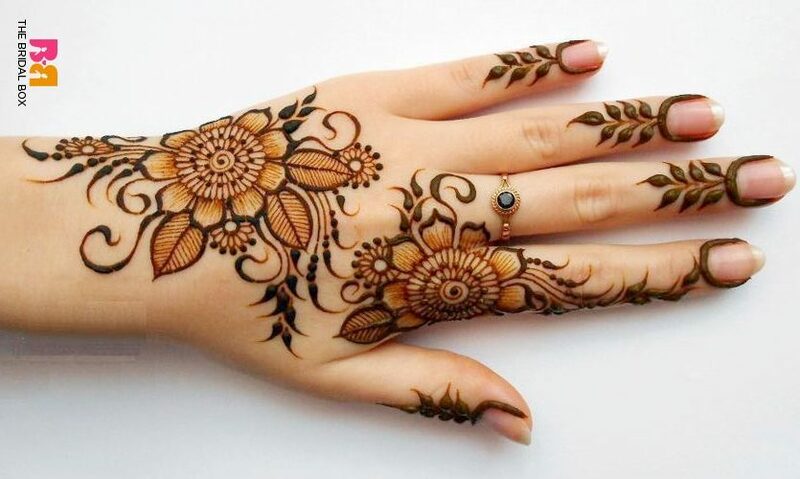 No way should you compromise on your ultimate henna design! 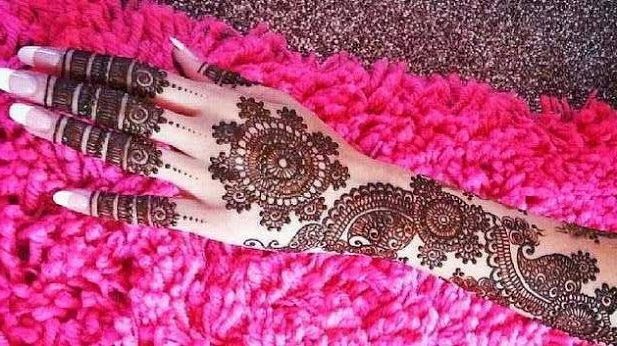 Indo-Arabic mehandi designs: The bold Arabic style outline is filled in with delicate, traditional and often contemporary Indian patterns and as well as shapes. The most preferred and most sought after style for Indian weddings. So, if you are bride of minimalist taste, then these designs are best suited. An enchanting combination of Indian and Arabic design, with the right balance of geometric, flowery and paisley elements. Isn’t this wow? 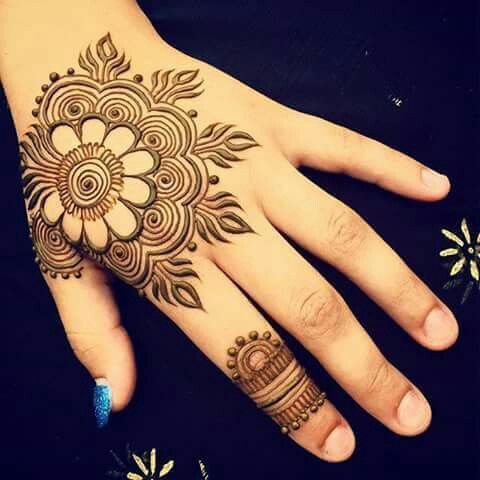 Moroccan mehandi design: Moroccan mehandi designs have come all the way from Middle East. They follow a set symmetry and that’s exactly why these designs are loved so much. 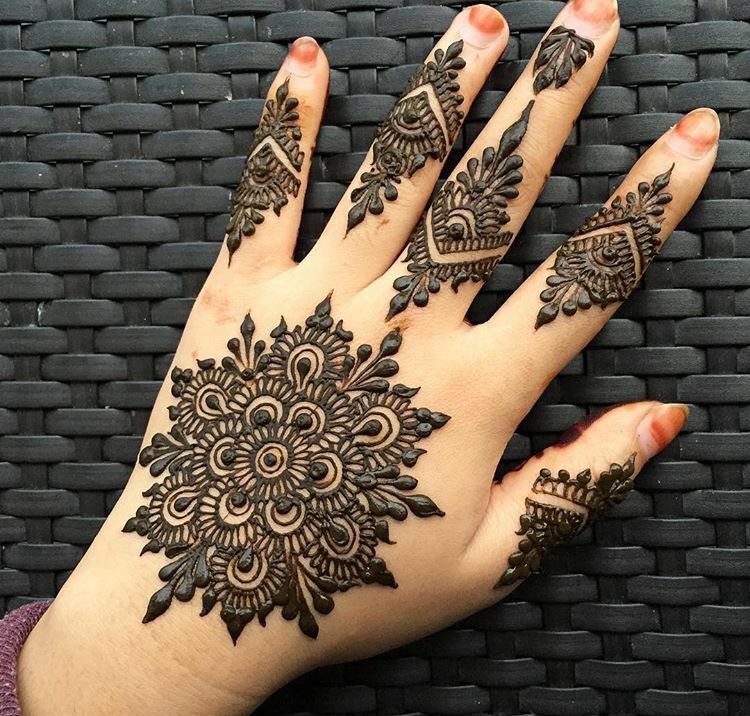 One of the best things about Moroccon mehandi is that these patterns tends to replace a fine piece of jewel, for instance a bangle or a ring or an ornately designed elements at the wrist which act as a bracelet of sorts. The arrangement of the elements of design is enough, no extra frills – no peacocks, or paisleys. To give your mehandi design an embellished look, you can accentuate it with sparkles, glitter and studs or crystals. Heavy-embellished look is not just festive, but gives bride an edge over her bridesmaids, friends and relatives. For more inspiration, check out these pictures. Have fun girls!